School Concerts - Local and regional talented music educators give engaging interactive concerts for our youth. We partner with our Montgomery Public Schools and those students without access to ensure that the arts remain a part of our students' lives. We reach over 3,000 students a year. House Concerts - Quarterly fundraising concerts for new chamber music fans. Learn to love chamber music in a casual, convivial setting, while supporting our school outreach program. Everyone wins! Festival Concerts - Annual public concerts in non-traditional, small venues, with world-renowned musicians. We bring up and coming artists to perform right here in Montgomery. We share their talents with the students and with the public. We're a nonprofit with low overhead - money raised ends up in the hands of those making the music! Your gift has a big impact, whether you give $10 to save a seat for a student at one of our concerts, or $500 to fund a school outreach concert with a local musician. The dollars donated create unforgettable musical memories for our students. With your help, we will create lifelong music lovers. Please invite at least ten students to the concert! ClefWorks is bringing more music to Montgomery and building up the next generation of Arts enthusiasts. 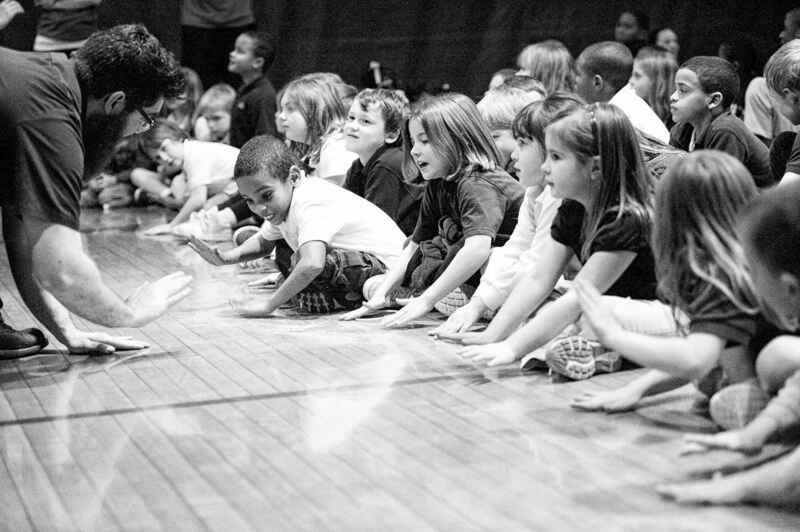 We Bring Music to Students Into their Schools!